Hanfu, literally &apos;Han clothes&apos;, is one of the traditional types of Chinese clothing. It served as the characteristic clothing for the Han ethnic group for more than three millennia and was outlawed at the beginning of the Qing Dynasty (1644–1912). The term "Hanfu" was created in recent years by Internet users to describe the Han people&apos;s clothing during the Han Dynasty (206 BC – 220 AD). However, it refers to the historical dress of the Han people for all of history before the Qing Dynasty, when the Manchus reigned. When people talk about Hanfu, they usually mean a long flowing robe with loose sleeves and a belt at the waist. However, Hanfu is a diverse term including different styles of clothing from different dynasties. Hanfu features a loose yi (/ee/) 衣 &apos;upper garment&apos;) with sleeves, and a skirt-like shang (/shung/ 裳 &apos;lower garment&apos; ). The belt sash was often decorated with jade. 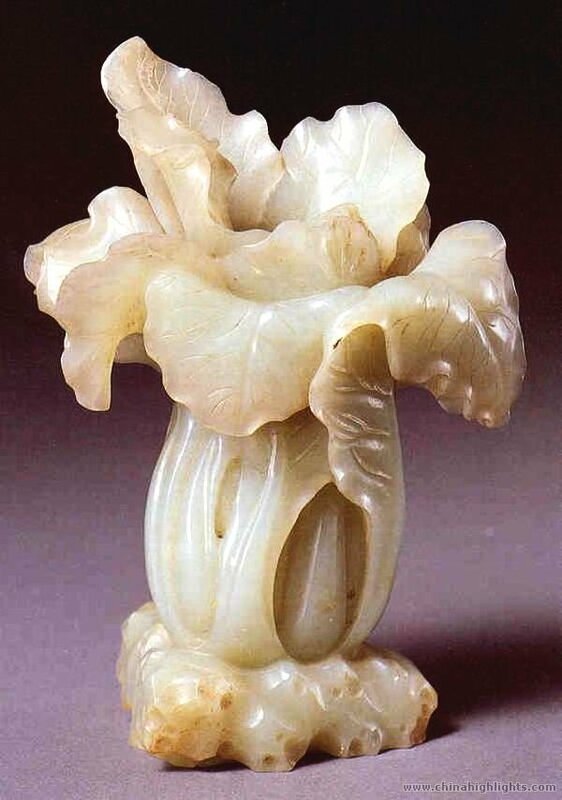 It is considered a symbol of authentic Chinese culture, reflecting Confucian scholars&apos; aspirations towards rituals, music, and moralistic ideals. It is said that Hanfu can be traced back more than 4,000 years, when the legendary Yellow Emperor&apos;s (2698–2598 BC) consort, Leizu, made clothes with silk. However, no archaeological evidence has been unearthed to support this. The yi was a narrow-cuffed, knee-length tunic tied with a sash. The shang was a narrow, ankle-length skirt. Outside a knee-length apron or bixi (/bee-hsee/ 蔽膝 &apos;cover the knees&apos;) was worn. Due to limited technology, there were only two primary colors: red and green. In the Western Zhou era (1045 – 771 BC), Kings of the Western Zhou Dynasty set up a strict hierarchical system linked by blood lineage and ethical norms based on families. Clothes were used as a status symbol to accentuate their privileges, which had a substantial impact on clothes and ornaments, owing to great differences between the nobility and the common people. Shenyi (one-piece clothing) and Mianfu (a religious court dress of ancient emperors and officials) emerged in the Eastern Zhou period (770 – 221 BC). Hanfu sleeves were made wider, and the outer tunic was closed with jade decorations or a sash. The cross-over collar appeared. Other ethnic groups&apos; clothing, such as hufu (clothes of northern ethnic groups such as the Huns), was established and blended with Hanfu. During the Qin and Han dynasties, few changes were made to the details of the Hanfu. The shenyi was still the favored style of dress for the Han people and the Huns alike. A new kind of formal dress, the pao (袍), a robe made of linen, prevailed. It was stipulated that the third-rank officials and above wore green silk pao and shenyi, and the common people wore white linen pao during the Qin Dynasty. 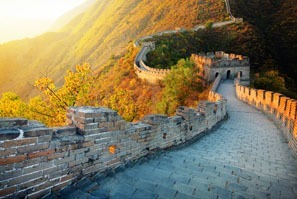 The Sui and Tang dynasties were "China&apos;s golden age", when the Han culture broadened. Based on their predecessors, a clothing style combining elements of the Hanfu and the hufu became common. Women&apos;s clothes became more relaxed and revealing than their previous counterparts, owing to women being less restricted by the Confucian ethical codes. The clothes of the Song Dynasty largely continued the style of the Tang Dynasty. More decorations and embroidery were applied. Women in the Song Dynasty wore beizi (褙子，similar to capes). 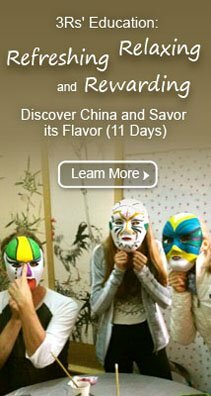 The Yuan Dynasty was the first foreign-ruled era in China. The Hanfu in this period adopted features from the Mongolian rulers&apos; national dress. Men not only wore the traditional Han-style round-collar pao, but also wore the Mongolian zhisunfu (jisum in Mongolian). This featured an yi (upper garment) that reached the knees with narrow sleeves and a short shang (lower garment). 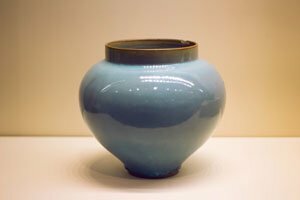 The Ming Dynasty was the last Han-led dynasty. The emperor wanted to restore the whole Han culture and tradition, including restoring all the clothing fashions of the Tang Dynasty. However, lots of Mongolian-style attire and hats still prevailed, as did clothing changes from the Song era. Confucian codes were re-popularized and women&apos;s clothes were prone to being more conservative. The upper outer garment was shorter and the lower garment was longer, and the outer coat became longer to shorten the exposed skirt&apos;s length. In 1644, the Manchus started ruling China, and a dramatic shift in hairstyling and clothing occurred. At the very beginning, the Manchu leader required all the Han people to wear the Manchus&apos; long gown, or cheongsam, but this restriction loosened soon afterward. Three types of clothes coexisted together in the Qing Dynasty: Han traditional clothes (i.e. Hanfu), Manchu clothes, and part Western-style clothes in the late Qing Dynasty. Hanfu was a symbol of traditional Chinese culture. 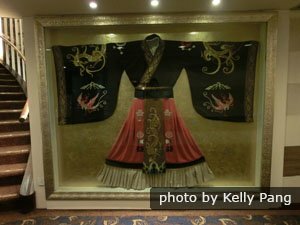 It also had a far-reaching influence on the clothing in other neighboring Asian countries, such as the Japanese kimono, the Korean hanbok, and the Vietnamese Áo giao lĩnh. 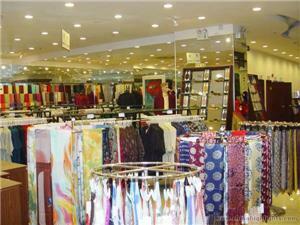 Chinese clothing started to be adopted by the Japanese in the 5th century. Traditional Japanese clothing is the kimono. The other term for it is gofuku, which means "clothing of Wu". Wu was one of China&apos;s Three Kingdoms (220–280). After falling out of fashion for more than 400 years, a renaissance of Hanfu was called for by many Han ethnic groups as part of a trend that the public should be proud of their Chinese culture. Many supporters believe that wearing Hanfu brings them a strong sense of national identity. 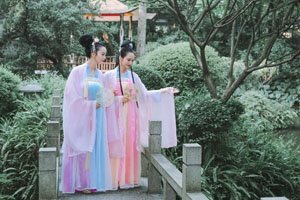 Many universities in China have a Hanfu Society whose members wear Hanfu to celebrate traditional Chinese festivals, and they use that opportunity to introduce their Hanfu garments to others.